The whole family can come along on a jazzy music adventure at Walton Arts Center on Tuesday, March 27, at 6 p.m. If you’d like to see Jazzy Ash & the Leaping Lizards for FREE, we’ve got 8 tickets to give away today! 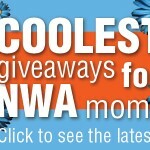 Two winners will each receive four tickets to this awesome kids’ show! Our thanks to Walton Arts Center, one of our sponsors here at nwaMotherlode, for providing these awesome tickets for our readers. Jazzy Ash’s songs celebrate the magic of movement, with a lot of sugar and sass thrown in, New Orleans–style. Jazzy Ash’s cover of the Louis Armstrong classic “Heebie Jeebies” is the #1 song on SiriusXM Kids Place Live radio. The Jazzy Ash songs are about all things that move around – bikes, trains, boats, fireflies, etc. – and all of the ways we move our bodies, too. Jazzy Ash is also known as Ashli Christoval, who grew up with a mom from New Orleans and a dad from Trinidad. Music infused her home life every day, from jazz to Caribbean rhythms to the lively children’s music, which was playing all the time for the kids in her mother’s home day care. She often spent summers in New Orleans with her aunts and grandparents, enjoying the culture and music that permeated their West Bank neighborhood. Later on, after becoming mom to two sons, she earned a degree in early childhood development and embarked on her music education program, Leaping Lizards Music. 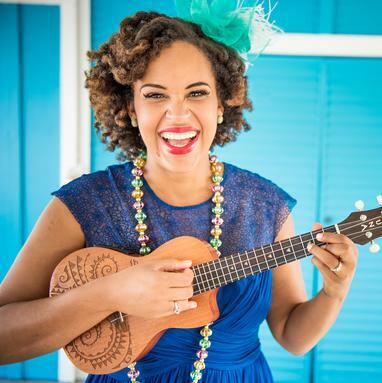 Her first album Ready offers peppy songs exploring preschool concepts, and her second album Home was the first to explore her New Orleans musical heritage. HOW TO ENTER: To throw your name in the online hat to win a family pack of tickets to see Jazzy Ash & the Leaping Lizards, scroll down to the bottom of this post (and past the comments posted by other moms) until you see the words “Leave a Reply.” Then write a quick comment telling us what your Spring Break plans are — or something fun you plan to do this spring in NWA. Jazzy Ash tickets are $9 for kids and $15 for adults and can be purchased now in-person at the Walton Arts Center Box Office, by calling 479.443.5600 or by visiting waltonartscenter.org. Giveaway: 2 winners to see Fluff at Walton Arts Center! 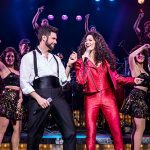 Giveaway: Win tickets to “On Your Feet” at Walton Arts Center! Headed to the grandparents house! Stay home and relax! Hopefully the weather will be nice for playing outside. 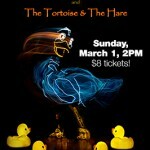 This spring, we want to fly kites and wade in the creek! I want to get outside and soak up some sunshine! My husband and I plan to take our toddlers to his hometown of Baton Rouge to teach them that “Banana-oh-nana” isn’t Zydeco and that gumbo is its own food group.